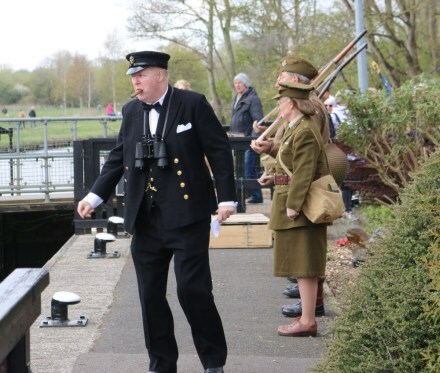 The Prime Minister (Mr. Winston Churchill), had a magnificent reception today when he paid a visit to Abingdon Lock to help rally members of the local Home Guard. He made a very stirring speech. 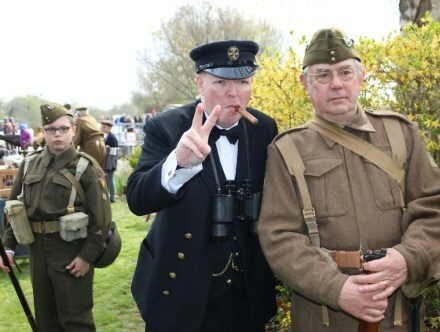 Mr Churchill spoke with members of the Home Guard and demonstrated the famous V for Victory sign. 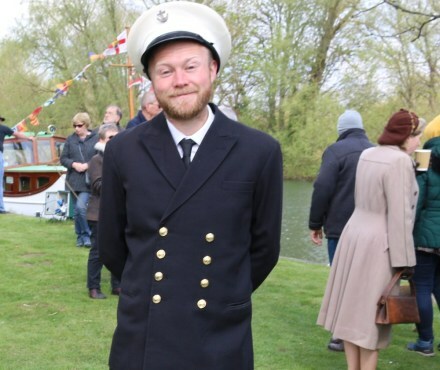 Abingdon lock keeper Mr Richard Hawkins told me it’s all in a day’s work … welcoming the Prime Minister and some soldiers back from Flanders. A large crowd of Abingdon people had gathered to see Mr Churchill and welcome back the heroes of Dunkirk. They were bloodied but not beaten. 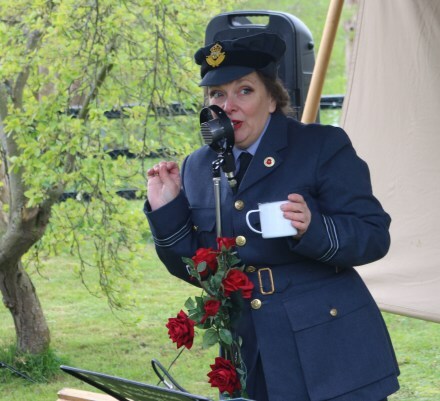 May Blossom, the sweetheart of the Home Guard, sang some favourites. 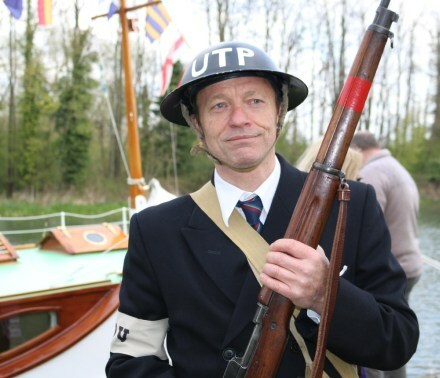 Members of the UTP (Upper Thames Patrol) Local Defence Volunteers were also there guarding the River. 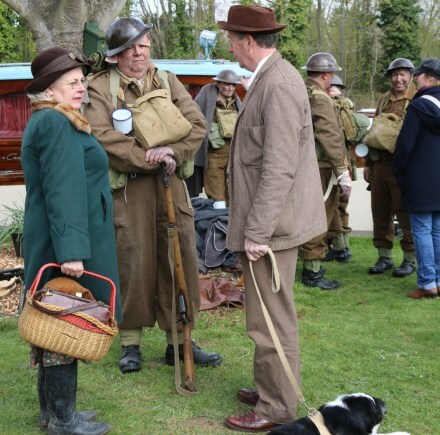 Mr Churchill did say, in my hearing, that he considers the name UTP Local Defence Volunteers not plain English, and so plans to rename them the UTP Home Guard. 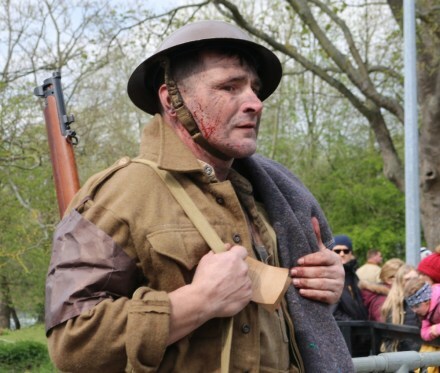 Local people spoke to soldiers evacuated from Flanders who said they were bombed almost the whole way over the channel and it was a miracle so many of them got back alive. It was thanks to a fleet of small boats. 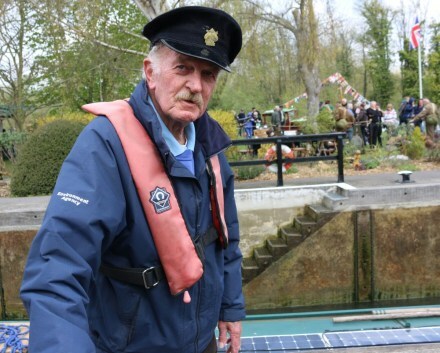 Congratulations to Mr Richard Hawkins (the lock keeper), and assistant keeper Frank Jordan, and to other volunteers, who made this a day to remember. A great event in a fantastic venue. Loved it. 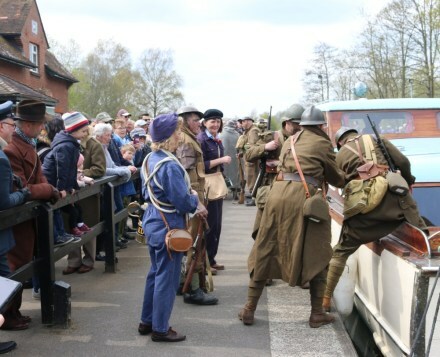 Some of those Tommies appear to be wearing helmets more usually associated with the French poilu… Great show by all those who took the trouble to look the part. Finding some of that kit must have taken real trouble and effort.